The fuzion photography editor app is only available on the App store for iOS devices. It was developed by Leonard Pospichal and released on Jan 23rd. No more tough procedures for Photo Retouching, Get it instantly done with the new Photo Editor App - Fuzion. Sadly, this app is available only for IOS devices. You might have come across double exposures already - portraits blended with other images to create stunning art. Previously that meant long and tedious editing and retouching work, but with Fuzion you can achieve those same effects and more with ease. What can you do with Fuzion Photo Editor App? - Capture selfies and portraits in the app or use existing portrait mode photos. - Choose from a variety of breathtaking images by top photographers to blend with your face. - Get creative! Add filters, light or dust overlays, and customize everything. 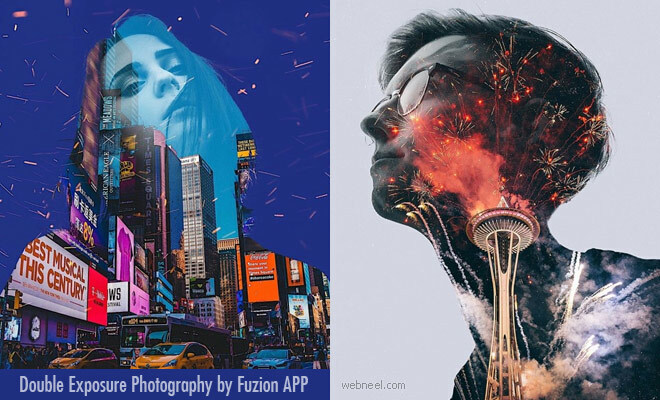 - Share your artistic photos with the world and use the hashtag #MadeWithFuzion. Fuzion will feature their favorites on Instagram. For IOS mobile : iTunes Link - Download now.